Many things can affect the quality of the output when you print. 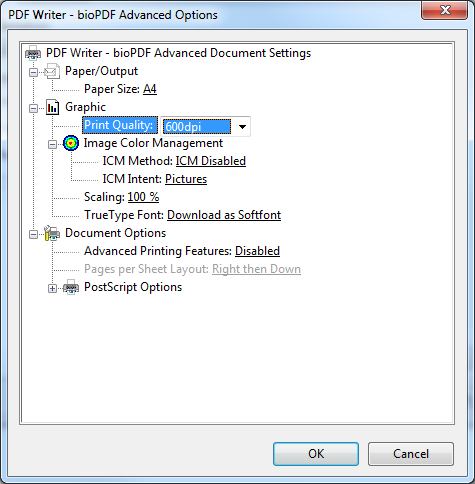 This page will try to list some of the common settings that will change the appearance of your PDF or image output. Some change may affect the quality of text and other the quality of graphics. It may take some experimenting before you find the combination of settings that will give you the best result in terms of quality and size. The DPI setting of the printer will often tell the printing program which level of detail the printer will understand. Changing the DPI setting will often affect the quality of the output. A higher DPI value will result in more details and a larger output file. 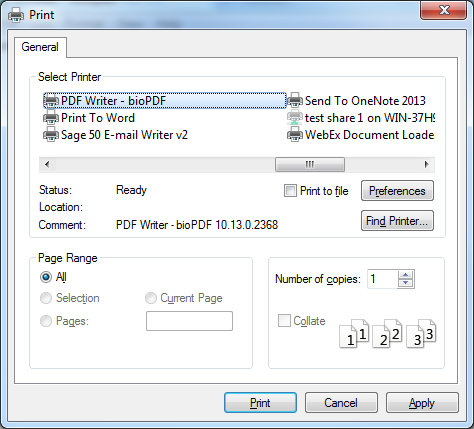 Below you can see how to change the DPI when printing from a sample application such as Notepad. When you print, the first thing you see is the printing dialog. 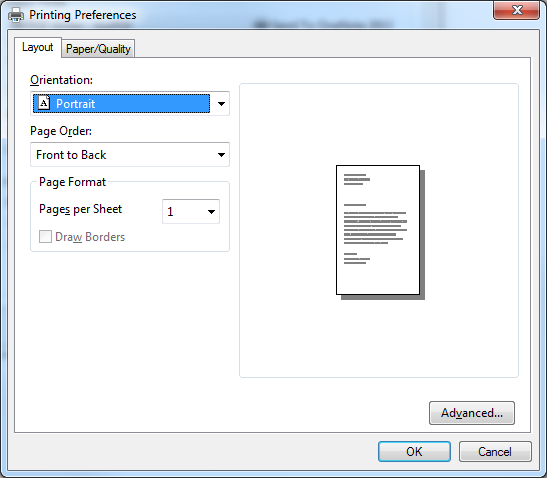 In the print dialog, you can select Printing Preferences. Click Advanced Options to get access to the DPI setting. A value of 300 DPI will usually result in a good quality output and a reasonable file size. 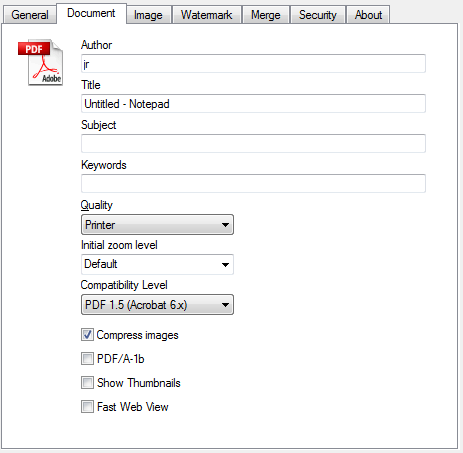 Image compression in a PDF document is a feature that will reduce the file size of the produced PDF. The algorithm used by the image compression will determine the result size and quality. Some algorithms will compress images better but at the cost of lower image quality. When you change the Quality setting in the printer the image compression algorithm will also change. If you want clear images, you can use the Printer or Prepress quality settings.